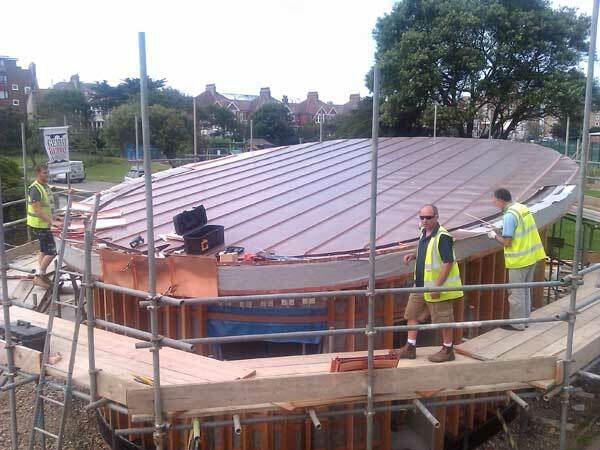 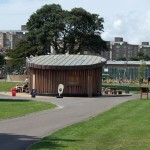 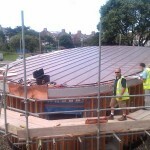 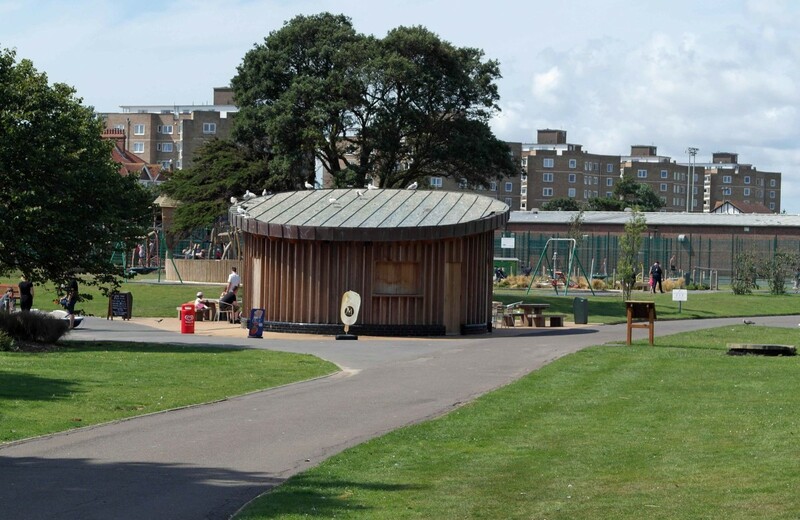 This cafe is a very striking feature in the Bexhill, East Sussex park with its copper, sloping, circular roof. 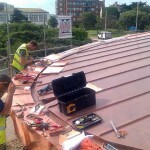 The design required some careful cutting and fitting in order to get a neat curved edge. 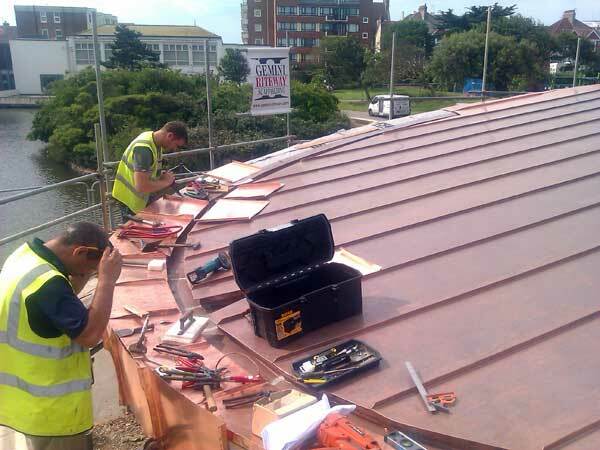 Note that the short edge panels must be tapered to get round the curve.